Andrew M. McGreevy; review of Andrew S. Erickson, ed., Chinese Naval Shipbuilding: An Ambitious and Uncertain Course (Annapolis, MD: Naval Institute Press, 2016); Education About Asia 23.1 (Spring 2018): 63-64. 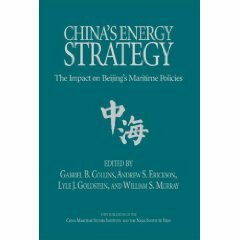 The thesis of Chinese Naval Shipbuilding: An Ambitious and Uncertain Course is that the People’s Republic of China, since 2000, has become the world leader in commercial shipping and that its navy is emerging as a rival to the dominance of the United States Navy (USN) in Asian waters. China’s fast rise in maritime power is yet another aspect of the country’s significance in world affairs. In China, naval forces constitute a branch of the People’s Liberation Army. The correct English translation for China’s navy is the People’s Liberation Army Navy (PLAN). 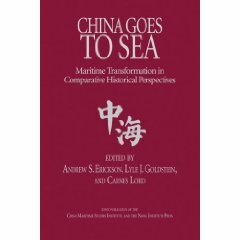 To document these achievements, the prestigious Naval Institute Press has published the [Studies in Chinese Maritime Development] series, with Chinese Naval Shipbuilding the most recent volume that incorporates the key concepts of the series. Specialized researchers may want to utilize the entire series, while college and university faculty members and high school teachers will find Chinese Naval Shipbuilding indispensable as a source for teaching about modern China. This is the only book to bring together the history of the PLAN with an explanation of the present situation and projections for the future. Chinese Naval Shipbuilding is divided into five parts: “Foundations and Resources,” “Shipyard Infrastructure,” “Naval Architecture and Design,” “Remaining Shipbuilding Challenges,” and “Conclusions and Alternative Futures.” Important quantitative data are featured in numerous graphics, and a list of acronyms is provided to guide readers [regarding] distinct terms. While “shipbuilding” may at first suggest a technical or engineering theme, Chinese Naval Shipbuilding takes readers into exciting and interesting topics such as world leadership with ships; recent growth and rapid changes projected for the PLAN; peculiar terms and acronyms; historic changes in Chinese doctrine about the land and the sea; developments with submarines, aircraft carriers, and missiles; outer space technology and cyberspace; the “China Dream” and the New Silk Roads; why the word “uncertain” is in the book title; and, most importantly, implications for the USN. Chinese Naval Shipbuilding is a must for us in teaching about what is happening under the seas, on the seas, and above the seas. China clearly wants to be the world leader in many ways regarding political, economic, scientific, and military strength. Chinese Naval Shipbuilding explains when and why the People’s Republic of China became the world’s number one shipbuilder. In 2002, the government, reflecting national defense concerns, challenged shipbuilders to become the world’s leaders by 2015. The industry responded, built the most commercial ships by 2010, and has continued to be first globally. One table provides quantitative data to show an amazing increase, by a factor of thirteen or some 1,300 percent, between 2002 and 2010. The location of shipyards, the concept of “megayards,” and the connections between commercial and military construction for the PLAN are other important aspects of the topic of how China achieved what may be the fastest growth in ship construction of recent world history. Focusing on the PLAN, Chinese Naval Shipbuilding explains how the navy should grow through 2020 and how it would challenge the USN by 2030. Shocking expansion took place between 2005 and 2015 with the building of over 100 ships for the PLAN. Tables of quantitative data in the book condense a dramatic story of growth and change into information to put the PLAN into perspective. These tables demonstrate how the PLAN of 2015 could grow to a size of 531 vessels by 2030. 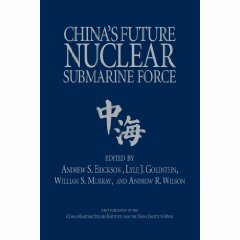 The importance of the growth of the PLAN must be studied by readers who are concerned that the authors of Chinese Naval Shipbuilding are of the opinion that the PLAN might evolve qualitatively into a force that can match some of the capability of the USN. The last table compares the projected numbers of major far seas ships for the PLAN and the USN at 2020. We must remember that it was only after 2000 that China signaled that it was going to put a new emphasis upon sea power. Thus, in a relatively short period of time, China has come to be regarded as an increasingly important naval power. Chinese Naval Shipbuilding is replete with distinct terms and acronyms that lead to detailed understanding of the overall topic. For instance, “blue water” is often used in discussing China’s progression from the “brown water” of the coast out to deeper “green water” and then to the ocean depths of “blue water.” “Near seas” and “far seas” are often linked to defense strategies. Perhaps the most unique terms are those used to identify China’s armed forces: the People’s Liberation Army (PLA), the PLAN, the People’s Liberation Army Air Force (PLAAF), and the People’s Liberation Army Rocket Force (PLARF). Readers must study maps to become familiar with the Yellow Sea, the East China Sea, and the South China Sea. “Island Chains” are especially relevant to discussions of naval tactics around the First Island Chain. The word “littoral” (near a shore) is often encountered when reading about the military geography of China’s coast. A2/AD for anti-access/area denial, ASBM for anti-ship ballistic missile, SSBN for [nuclear-powered] ballistic missile submarine, and SSN for nuclear-powered [attack] submarine are a few of the important acronyms to be mastered. One of the most important revelations in Chinese Naval Shipbuilding is that current doctrines have overturned centuries-long concepts. China has been known as a continental, or land-based, power, focused on the PLA since 1949. However, in 2012 and 2015, Chinese defense white papers proclaimed that the People’s Republic was overturning its history by focusing on moves from the land to the sea. China was proclaiming that it would be both a land and sea power. The PLAN was to have new missions. The words “the traditional mentality that land outweighs sea must be abandoned” are of tremendous significance. China is announcing policies that relate to the army and navy, global ambitions, outer space, and cyberspace. Chinese Naval Shipbuilding also provides us with necessary information on submarines, aircraft carriers, and missiles—symbols of naval and military power; readers can consult several tables that help them follow the evolution of the PLAN. With submarines, a key point of terminology is that SSBN refers to nuclear-powered and ballistic missile-launching vessels, while SSN indicates a nuclear-powered ship. SSK is used for conventionally powered ships, and SSP is used for diesel-powered submarines. The SSBNs are considered to be important indicators of national power and prestige, but China deploys mostly SSNs and SSKs, while the USN fleet, listed as sixty-six submarines, is entirely nuclear-powered. With the SSBNs, China should have six by 2020, with the USN having fourteen. By 2030, China may have ninety-nine submarines in total. Aircraft carriers have long been a measure of American strength, and by 2020, China is projected to have two at sea, while the USN will still lead with eleven. One of the most dangerous issues for the USN is whether Chinese ASCMs (anti-ship cruise missiles) or ASBMs (anti-ship ballistic missiles) could actually hit American ships at sea, especially aircraft carriers. 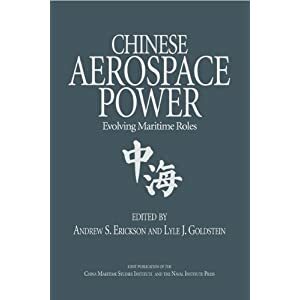 While most of Chinese Naval Shipbuilding is devoted to maritime concepts, the book also alerts readers to the fact that the PLAN is advancing with space-based satellites and cyberspace capabilities. In essence, satellite technology will be used to provide the PLAN with better global communications. Thus, we find discussions of the links between shipbuilding, the PLAN, and entities such as the China Aerospace Science and Industry Corporation. Furthermore, cyberspace and cyberattacks are clearly identified as concepts to be integrated into future PLAN tactics and strategies. Electronic jamming equipment, cyber weapons, antisatellite weapons, and even microwave weapons are being developed for the PLAN. Chinese Naval Shipbuilding was prescient in discussion of topics of increasing importance since 2012: President Xi Jinping’s China Dream and his Silk Road Economic Belt and Twenty-First Century Maritime Silk Road projects, also known as the One Belt, One Road (OBOR) initiative. In essence, the China Dream is a call to action for a newly energetic nation to reclaim its place of world leadership and ensure that China never again suffers national humiliation because it is weak in economic, military, or maritime power. Almost 100 countries have joined China through its Asian Infrastructure Investment Bank (AIIB) for the New Silk Roads. OBOR projects are to make China, not America, the driving force linking Asia, Europe, and perhaps the world in economic networks. Also, to protect world shipping, Xi places great emphasis on a growing role for the PLAN. To fully understand this book, readers must ponder the word “uncertain” in the full title: Chinese Naval Shipbuilding: An Ambitious and Uncertain Course. To be sure, it is somewhat vague as to exactly where the PLAN intends to go upon “the far seas.” But what else does “uncertain” imply? The book discusses several uncertainties, such as the real capabilities of the PLAN, the competency of PLAN personnel, the efficacy of PLAN combat systems, and doubt about the communist technique of sharing military and political command functions on ships in the case of actual combat. The question of the ultimate size of the PLAN is the most significant unknown issue—that is why the word “uncertain” is included in the title. Chinese Naval Shipbuilding includes implications for America and the USN. Among these are that we should prepare to see the PLAN globally, especially in the Indian Ocean and Mediterranean Sea. PLAN submarines may extend their reach to American coastal waters. If these things occur, a global PLAN might weaken perceptions of American military and maritime might. Furthermore, China’s increase in commercial and military shipping has already been impacting the USN for at least a decade. Quantitatively, the USN has accepted the premise that about 60 percent of its forces should be in the Pacific to counter China. “High-end” warfare, i.e., large fleet actions with the most scientifically enhanced weapons, would likely take place in midocean, as the USN would seek to control the seas. Concern for China’s coastal, or littoral, waters is obvious with discussions of LCSs—littoral combat ships. Submarines and aircraft carriers for the USN will be improved, and we must give constant attention to missiles. Again, the contest between missiles and aircraft carriers will continue to be extremely significant. Cyberwarfare capabilities must continue to be advanced. The USN might need to increase its presence in Asian waters by more patrols and extension of regional ties, especially with the Philippines and Vietnam. It is clear that the authors of Chinese Naval Shipbuilding perceived rapid change as having impacts on maritime, national, and world history. —Eric Grillon, 5-Star Review, Amazon.com, 13 December 2017. —Gregory P. Gilbert; prepared originally for International Journal of Maritime History,published online via the Australian Naval Institute, 23 September 2017.